Over the weekend I did an online crop over at Jenni Bowlin Studios. There is some serious talent over there!! The challenges the DT throw out are very unique and make me really try to up my game~there is nothing more I love than a good challenge that challenges me!!! 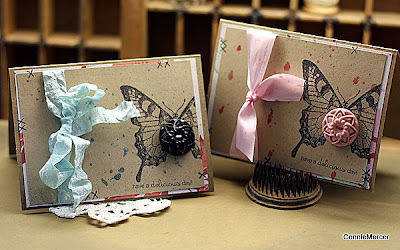 The cards were a challenge to use scraps~just happens to be a favorite thing of mine to do. "Doing the right thing is never the wrong thing to do"
I still have the Celebration thread going on until Wednesday when I will post a winner of the Crafty Goodies box!! If you haven't entered you still have time.!!! Have a great day and see ya soon for Try It Tuesday!! oh i love that quote!!! 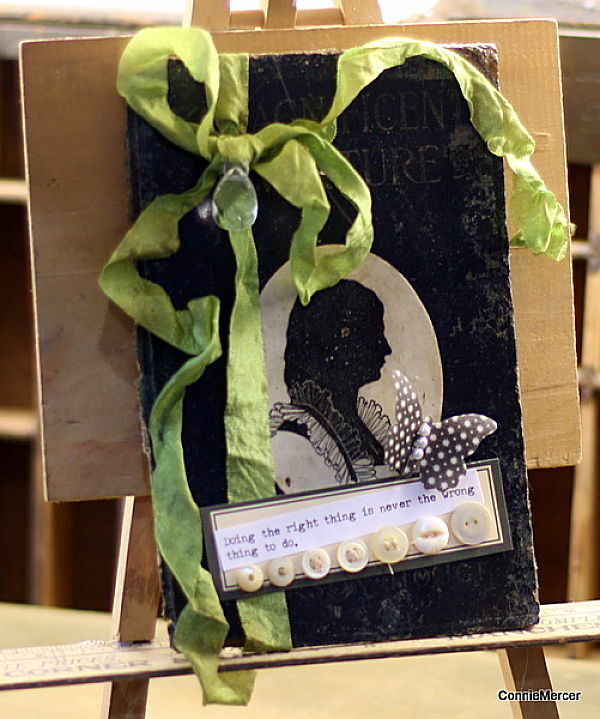 Gorgeous projects. You step your game up everytime you post. Wow! Those butterfly cards are to die for!! These are absolutely gorgeous! Stunning! Love the quote!! Those cards are beautiful! Very lovely cards! Love that green ribbon :). I am sure it was a LOT of fun. Good for you, Connie!